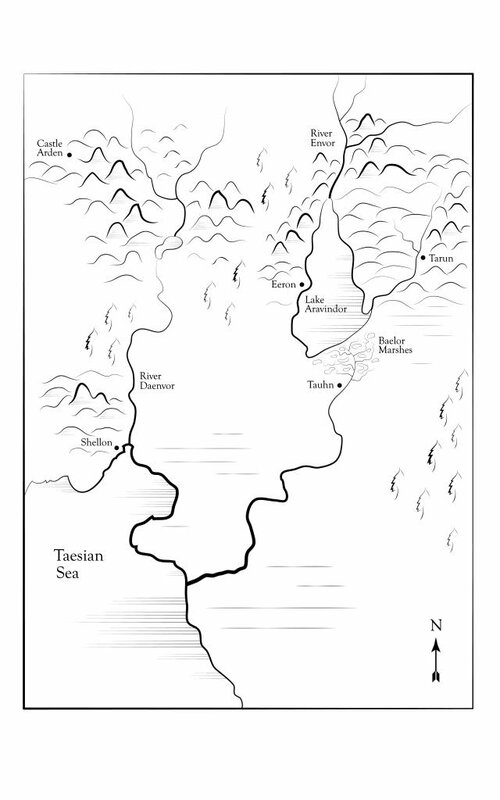 The Taesian Chronicles is a trilogy of fantasy novels set in the fictitious world of Taesia. It contains all three books of the trilogy, Ohlen’s Arrow, Ohlen’s Bane, and Paragon’s Call. It also contains a bonus short story, The Orphan’s Maker, that is not available anywhere else. The complete trilogy of The Taesian Chronicles is available as a single volume in paperback and for Kindle. To get a signed copy of The Taesian Chronicles in paperback (6×9, 654 pages) you must purchase it directly from me via my ‘Buy my books’ page, or attend one of my book signing events.